Seamlessly combine the energy efficiency of LED lighting with customizable dim-to-warm technology. You’ll have complete control over adjusting the light’s color temperature and brightness to set the mood in the room from warm candlelight to bright daylight, all from your favorite mobile device. 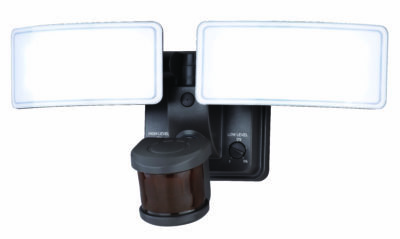 Dualux® Bluetooth multi-level outdoor security lighting is designed to fit your lifestyle while enhancing the safety and usability of your home’s exterior. Enjoy the comfort and convenience of continuous bright illumination during the early evening hours. Using patented energy-saving technology, Dualux® automatically dims late at night to provide soft, ambient illumination until dawn. 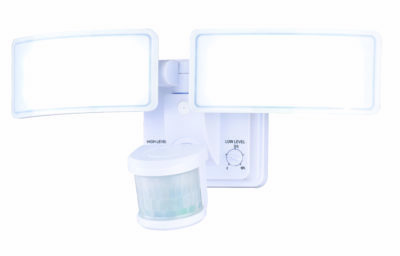 But rest assured knowing that whenever motion is detected, on-demand bright illumination will be triggered to keep your property safe and secure. Outdoor items are UL/ETL rated for wet locations unless otherwise specified. Dualux is a registered trademark of Vaxcel International Co., Ltd.
Have questions about Connected Lighting?